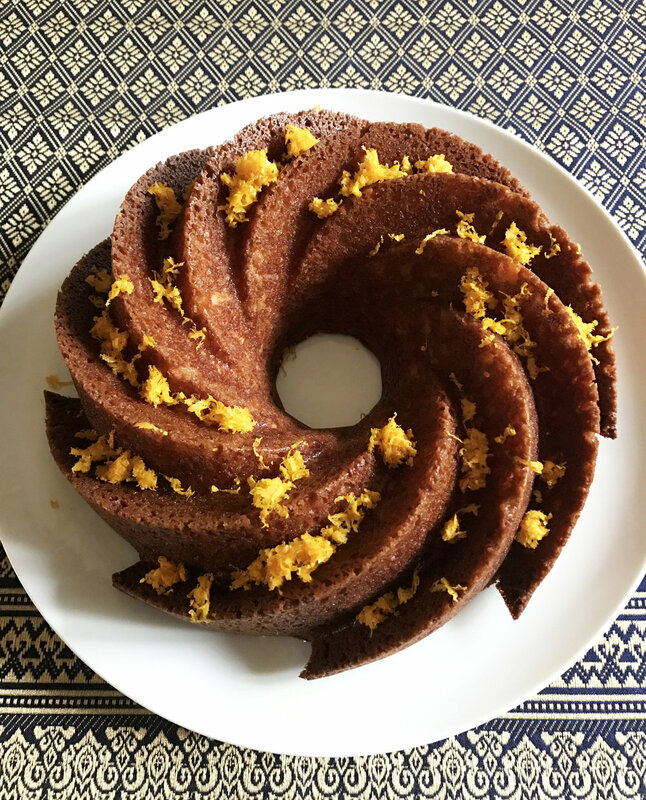 Buttery Orange Cake — Good Food Makes Me Happy! Orangey, moist, buttery goodness. Need I say more?! Preheat oven to 350-degrees. Grease a bundt pan with butter or use a cooking spray. Zest the orange and set aside to sprinkle on the baked cake. Then peel, cut the orange into chunks and puree in a food processor. In a medium bowl sift together the flour, baking powder and salt. In a large bowl, whisk together the eggs and sugar until light in color and fluffy. Mix in the orange puree. Fold in the flour mixture, then mix in the melted butter and orange liqueur. Pour the batter into the prepared bundt pan and bake for 40 minutes, until a knife inserted into the cake comes out clean. Let cool in the pan on a wire rack for 5 minutes before unmolding. Let cool completely, then sprinkle on the reserved orange zest. – Mimi Thorisson, "French Country Cooking"